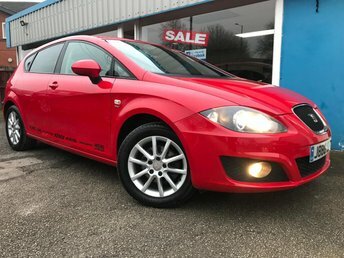 Choose from a great selection of used Seat cars in Derby at Excel Motors (Midlands) Ltd! We are getting new stock from this manufacturer all the time, from the compact Seat Ibiza, to the family friendly Leon, Ateca and Altea models. Stop by our showroom and explore the range of used Seat cars in person. Alternatively, our latest stock is listed here on our website for you to browse at your convenience. As a member of the Volkswagen Group, it comes as no surprise that Seat vehicles are reliable and have outstanding build quality. To find out more about our used Seat cars in Derby or to book a test drive, call Excel Motors (Midlands) Ltd today!